Where: Montgomery, AL. Take I-65 to Exit 164. Hours & Days: Monday, Wednesday, Friday at 9:30am, 12:00pm, 2:30pm; Thursday evenings at 6:30pm. Details: Reservations are required and may be made up to 6 months in advance. Book online: tour.hmmausa.com. Tours last 75 - 90 minutes and start with a video before boarding a tour trams. Visitors must wear headsets to hear descriptions of the manufacturing process as it is happening and safety glasses throughout the tour. The tour permits a maximum of 32 people per tour. Minimum age is 6 years old with parent or guardian. School or group tours minimum age is third grade with at least one adult per 10 students. 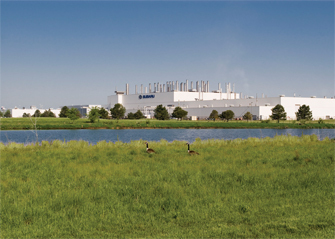 The plant builds over 1,500 cars each work day. 1,000,000 car rolled off the assemby line. Where: Lafayette, IN. Take I-65 to Exit 168. Hours & Days: Monday, Wednesday, Friday at 11:00 a.m. Details: Reservations are required and booked 48 hours prior to the tour. Tours last from 60 to 90 minutes. To schedule an appointment, call 765-449-6250. Minimum age is 10 years old. Closed toe shoes required. No photography or photo-taking cell phones allowed. The maximum group size is 35. 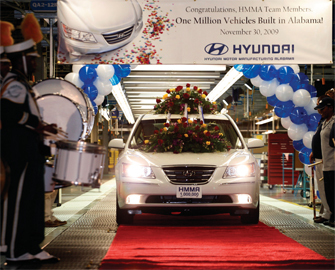 A guide leads visitors along a tour route to see the auto manufacturing process from beginning to end. The tour route includes a one-mile walk on an elevated catwalk. This plant produces the Subaru Outback, Legacy and Impreza vehicles. This plant site area is 820 acres. Where: Georgetown, KY. Take I-75 North, Exit 126 or I-75 South, Exit 129. Hours & Days: Plant tours are available Monday through Friday at 9:30am, 11:30am, 1:30pm and Thursdays at 6:00pm. The Visitor Center is open Monday through Friday from 8:30am to 3:30pm; closing on Thursdays is 6pm. Reservations are required for tours of the Environmental Education Center which are available at 9:30am and 11:30am on Tuesday and Thursday. Details: The guided, tram-driven tour of America's first and the world's largest Toyota manufacturing facility lasts about 60 minutes. Children must be in first grade or older. Reserve a spot for your group by calling 800-866-4485. 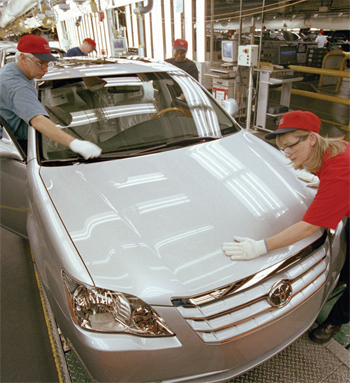 Products manufactured at the Georgetown plant include the Camry, Avalon and Lexus ES 350. 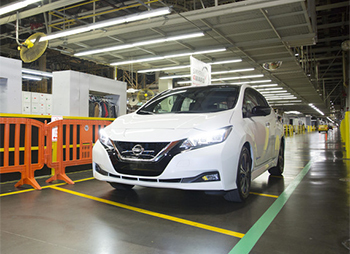 Production capacity is about 2,000 cars per day. Hours & Days: Guided tours are available Monday - Friday 10:30am and 1:30pm, Saturday 10:30am. Details: No reservation is required. The Shelby American factory is a popular destination for performance and racing enthusiasts around the world. 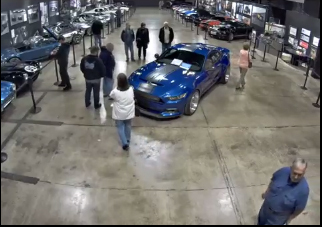 The Shelby Heritage Center and Carroll Shelby's Store are open Monday - Saturday 9:30am to 6:00pm and Saturday 10am - 4pm. Located adjacent to Interstate 15 and only a few blocks from Las Vegas Boulevard, visitors can see the museum's ever-changing displays of some of the most famous cars ever produced including the first Shelby Cobra, Shelby GT 350, Dodge Shelby Dakota pickup, a Shelby GT-H and a Terlingua Mustang. The area is also a showroom for Shelby American. Where: Dearborn, MI. Take I-75, I-94 or I-96. Hours & Days: Open Monday-Saturday 9:30am-5pm; buses depart every 20 minutes, 9:20am-3pm. Living Laboratory Walking Tour - look at the transformation of brownfield site into a sustainable manufacturing setting, open May 1-October 1, weather permitting. Public tours begin on the grounds of the historic Henry Ford. Group tour operators may request direct-arrival and bus parking arrangements with the Call Center representative when making advance reservations. Group arrivals are scheduled between 9am and 3pm. than 1.8 million visitors annually. Details: Advanced reservations are required and the minimum age is 10 years old at all plants. Tours at the Smyrna and Canton plants accommodate up to 50 people; Decherd tours accommodate up to 30 people. Smyrna tours are available at 10am and 1pm on Tuesdays and Thursdays. To schedule, call 615-459-1444 or email. Canton tours are available most Tuesdays, Wednesdays and Thursdays. Call 601-855-TOUR or email for reservations. Decherd tours are available on the first Tuesday of each month. Call 931-962-5000 for reservations. in Tennessee in February 2018. Hours & Days: Plant tours are offered on Mondays and Wednesday. Tours begin at 9am, 9:15am, 12:30pm and 12:45pm. Visitor Center is open Monday-Friday at 8:30am-4pm. Details: Advance reservations are required; call 888-286-8762 or 205-507-2252 to schedule a tour. The tour permits 20 people per tour; children must be at least 10 years old. Plan to arrive at least 15 minutes early to complete registration. The tour is a 90-minute walking tour covering about 2 miles. 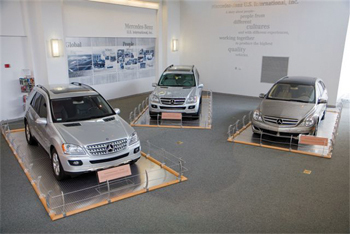 The plant manufactures the GLE SUV, GL SUV, C-Class and the GLE Coupe. Reprinted from TRIPinfo.com Digital Magazine.